Relax and Have Fun to Land Your Dream Job! Some of you work so damn hard to get to where you want to be. When, really, what most of you want is to spend time and have fun with your family. The irony is, the harder you work you get further away from family and fun. 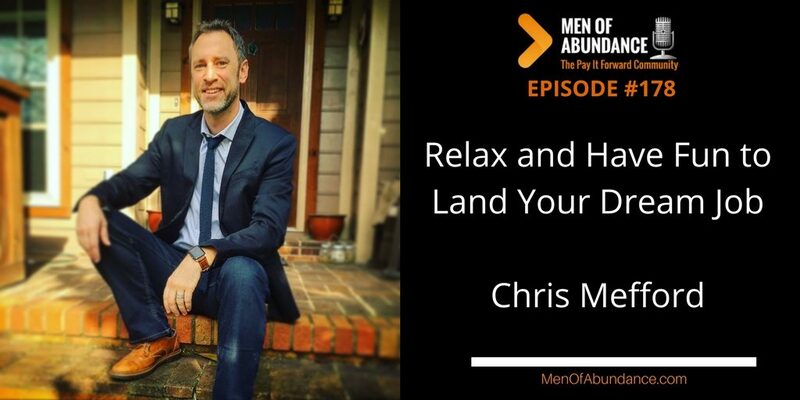 Today, Chris Medford and I talk about the importance of having fun today, and those misunderstood soft skills that are vital to your success. a former VP at the Dave Ramsey organization (planning live events and more) and EVP for Dr. Henry Cloud. Currently, Chris is the acting COO for Standard Behavior Digital. In his many roles, Chris has had the opportunity to change people’s lives by providing clear, actionable strategies to help people make smart business decisions and turn a fledgling department into one of the best in the company. expertise and insight to assist senior executives and small business entrepreneurs to build better cultures, turn around underperformance, hire the right employees, know when to let people go, implement efficient processes, manage finances, and implement the organization’s mission all while making money and changing lives. Chris even played a part in helping the Ramsey Organization win the“Best Place to Work in Nashville” award for 8 straight years. Chris is a former high school teacher and holds an MBA from the prestigious Odette School of Business at the University of Windsor. In short, he knows a lot about business, communication, and leadership. Chris is passionate about sharing his experiences and using his teaching skills to help others create amazing cultures and places to work. Men, feelings come from your thoughts. If you’re not having fun in life, it’s in part because your thoughts are in the future. When you bring your thoughts to today, and realized all you have already accomplished, you will start to have more fun. Once you reach this realization, so much more will come into your life. Request Your 30 Minute Discover Call!